Carrie Nelson of Miss Rosie's Quilt Co.
24 row designs in three appealing categories: Classic Patchwork (tried-and-true favorites), Well-Seasoned (fresh quilts for every season), and A Bit of Whimsy (playful, carefree designs). Perfect for a row-robin quilt-along with your friends, the rows can be put together in many different combinations. 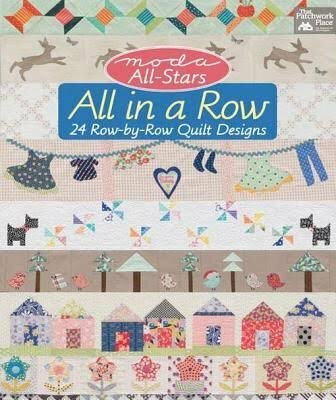 Includes step-by-step instructions and illustrations, plus a quilt gallery that provides inspiration for stand-alone rows.